Simplify your expedition with our solutions, because every milestone is a big step. In the year 2010, Thomson Data embarked on a mission in pursuit of a vision to achieve highest service excellence. The empirical formula at the heart of our framework is the unabated commitment to promises as we inch towards the goal. Today, our success is attributed to team of professionals and evolving business standards that we regularly scrutinize and endorse. It emboldens our team to take newer challenges as we continue to earn customers from every prospect. 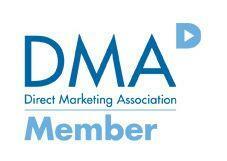 Thomson Data is a member of Direct Marketing Association (DMA) and is proud to express its commitment towards responsible data driven marketing. With exclusive focus on improving the marketability of our business data, we strive to offer optimum quality services before and after sales. Our team of 150+ seasoned strategists otherwise identified as growth hackers’ focus on building high-quality relationships in vertical markets. In today’s world, building business relationships isn’t simple, but as we shore up support from customers, it inspires our team to raise the stakes at every incline. As we converge upon various business challenges, we are also defining ourselves as a brand offering custom B2B solutions for your sales and marketing needs. Thomson Data has been a household name among Major Corporations and a large number of Small and Medium-Sized Businesses (SMBs). As a modern company, Thomson Data values nurturing its client’s business performance and are deeply involved in fine-tuning ideas and etiquette to carve the shortest path to objectives. Thomson data’s list accumulation is based on benchmarks such as location, industry, title, and other popular fields. The top-notch feature of our services is the data quality that enhances the retention rate. Thomson Data’s real-time data update policy allows us to deliver high quality business data kept up-to-date at regular intervals guarantee in unvarying performance. With 100+ data scientists, and state of the art facilities in US, Germany, and India, Thomson Data is expanding its global presence to favor client’s interest and to offer timely services without budgetary overhead. Thomson Data’s inventory is well stocked with leading business technology platforms for building database and to ensure unfluctuating control over nitty gritty processes to offer a quick turnaround. Thomson Data upholds its reputation as a premium mailing list and digital marketing vendor due to its outstanding commitment to promises. Our long list of clientele is a facet of quality services delivered by us. In today’s digital world, the single greatest threat is the data integrity. With vulnerability is focus, Thomson Data takes every measure to handle customer information with confidentiality. All our processes are frequently monitored by in-house security experts to prevent data mismanagement by internal and external elements.